Barcelona is a city constituted by several neighbourhoods. Its charm is spread over different corners but there are some neighbourhoods which are mandatory during our visit. While other cities concentrate all their charm in the old town, the Catalan capital, offers different attractions for tourists in every district. In this article, we want to look at those neighbourhoods where tourists can have a walk, but also where they can rent the best apartment in Barcelona to stay for some days. The Eixample is the largest and most populated neighbourhood in Spain. For this reason it is normally referred as two: Eixample Esquerra and Eixample Dreta. Each of them could constitute a city by itself. Halfway between the historic centre (Gothic Quarter) and the upper area of ​​Barcelona, and despite its similar grid structure, nothing is monotonous in the Eixample and its streets are considered the best to walk from one area of ​​the city to another. 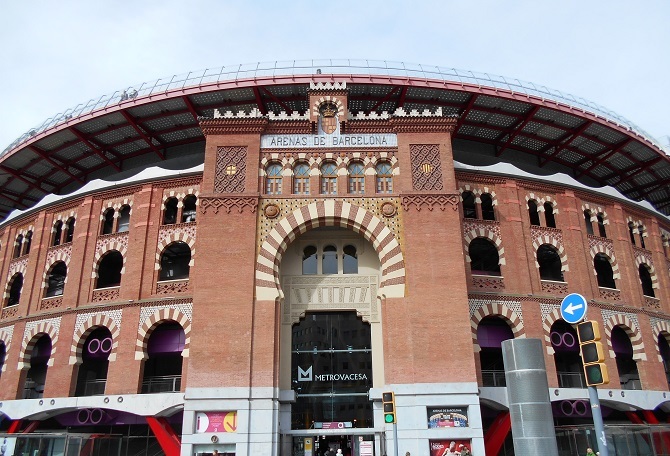 What to see in the Eixample Esquerra: the area comprising Montjuïc, Plaza España and the Arenas Shopping Centre is remarkable for its huge monumentality and wide range of leisure offer. Where to live: an apartment overlooking the Parc Miró does not only allow us to enjoy his work Dona i Ocell, but the magnificent Las Arenas Bullring converted into a shopping mall, and the door to the magic mountain of Montjuïc. A place to get lost: the pedestrian walk of Enric Granados is the perfect walk from the University to the Gràcia neighbourhood enjoying terraces and modernist buildings (do not miss the Sayrach House at its northern end) without the hassle of traffic. The Eixample Dreta is a magnificent example of urban planning and where to find the best examples of modernist art, among which we find, of course, the magnificent works of Gaudí: from the Sagrada Familia to the Pedrera through Casa Batlló and Casa Vicens . 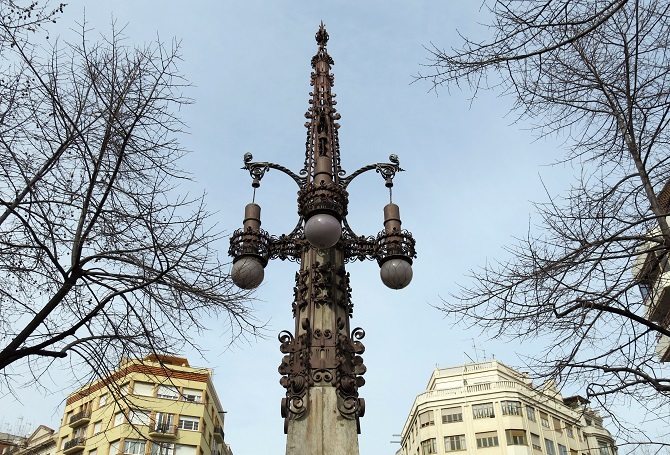 What to see in the Eixample Dreta: two main arteries of Barcelona: Paseo de Gràcia and its surroundings, and the Avinguda Gaudi, which hosts the Sagrada Familia at the beginning and the modernist Hospital de Sant Pau in the other side. Where to live: In the Eixample Dreta of course you must rent an apartment close to the Gaudi’s most famous temple. The perfect option is getting a studio in the neighbourhood of the Sagrada Familia. If you are looking for a neighbourhood in Barcelona where you find the authenticity lacking in more popular spots like the Gothic Quarter, you may want to visit the Born. This neighbourhood, despite being exposed to world tourism, has not lost any of its charms and still maintains its idiosyncratic character hidden between alleys and carved stone monuments. 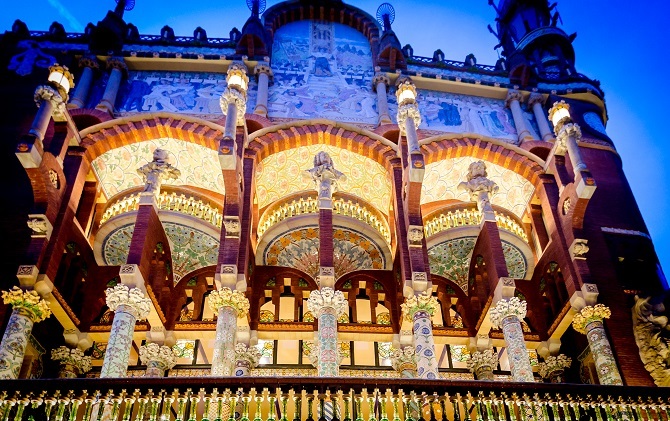 What to see in the Born: besides authenticity everywhere, the Born hosts such wonderful jewels as the Palau de la Música, the Santa Caterina Market, Picasso Museum, the Born Market and what has been called the Cathedral of the people: Santa Maria del Mar. Where to live: A studio in Damas Street places you in the authentic core of Barcelona which survived many sieges and has reached the 21st century full of charm. A place to get lost: the Paseo del Born takes you from Santa María del Mar to the newly renovated Mercat del Born in just three minutes while you enjoy a walk through several centuries of history. From the market you need to walk just two minutes to reach the impressive Parc de la Ciutadella. If the authenticity of Barcelona lies on the east side of the Gothic Quarter (El Born), its west face has also a strong personality. In the Raval we find a mix of cultures represented by all styles which coexist and survive in Barcelona: from its modern and contemporary side to its more classical and historical, passing through the Rambla. What to see in the Raval: the best representatives of the modern culture through the museum complex formed by the CCCB and the MACBA (contemporary art centres) and the most traditional and popular atmosphere around its Rambla. Where to live: a studio in Calle Guardia is the best option since you are at a very short distance from the Rambla del Raval, another little walk to the Ramblas and in between the possibility to enjoy the Palau Guell, another jewel of the great Catalan architect par excellence. A place to get lost: it is a pleasure to get lost in the Raval at any time. Life is visible in every corner and you will always end up going somewhere with charm, whether the Ramblas, Plaza Universidad, the sea promenade, or Paral·lel Avenue . You can also stroll through Tallers Street, where you’ll find plenty of underground shops which sell much more than normal brands and commercial clothes. Hi there,I log on to your blogs named “Best neighbourhoods for the best apartment in Barcelona” daily.Your writing style is awesome, keep it up! Thank you عيضة! you’re very kind. You know you can visit us by renting an apartment in Barcelona whenever you want, and enjoy everything that we so gladly tell you. Greetings!